ELY, Minn. (MuseWire) – Preparations are underway for the Ely Winter Festival slated for February 6-16, 2009, in the northern Minnesota tourist city known for its local beauty and wilderness. The volunteer Board has announced a schedule of events for all ages, abilities and interests; ranging from Sled Dog Rides, an historic Voyageur Encampment, cross-country ski specials and outdoor ice skating; to a crafts fair, several dinners, musical concerts and art events taking place over the Festival’s 10-day period. On Saturday afternoon, February 7, the award-winning bluegrass band, Gold Wing Express, hailing from Branson, Missouri, performs in concert to benefit the local hospice organization. Then, Saturday night, Steger Mukluks presents the Lamont Cranston Blues Band at the Mukluk Ball, hosted by owner Patti Steger and Broadcasting Hall of Famer, anchor and reporter Don Shelby of Minneapolis station WCCO-TV. Friday, February 13, brings McInnis’ Kitchen, a musical group from Duluth, Minnesota, that specializes in traditional and original music of the Atlantic Maritimes, Newfoundland, Ireland and Scotland. On Saturday, February 14, a special fundraising dinner at Grand Ely Lodge for the Dorothy Molter Museum in Ely will feature local musical entertainment and a silent auction. The town also becomes a veritable art gallery, as merchants clear their windows to display local artists’ works in the Ely ArtWalk, running congruently with the Festival. Over 160 artists will show their wares this year. Festival pins, brochures and information are available at the Festival Headquarters, the Front Porch Coffee and Tea Company, which has free Wi-Fi for customers’ laptops and computer rental time available, as well as hot beverages and light food. 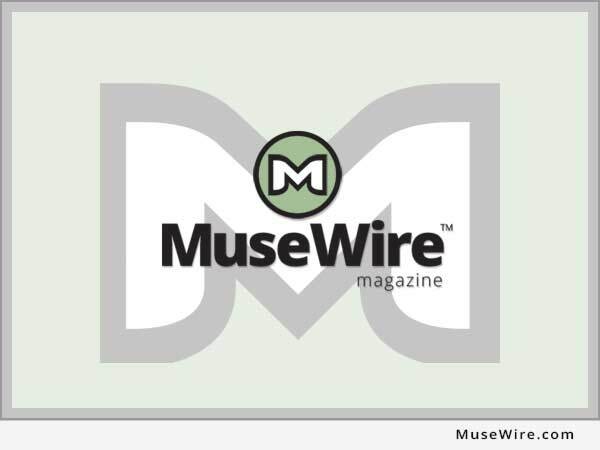 Events are still being finalized, so up-to-the-minute details can be found on the Festival’s website ElyWinterFestival.com. Of special interest is the gallery, containing video and still shots of past years’ snow sculptures. 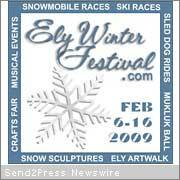 The Ely Winter Festival is a non-profit organization whose activities are made possible in part by grants from the Ely Chamber of Commerce, Iron Range Resources, Arrowhead Regional Arts Council, and an Arts Across Minnesota grant provided by the Minnesota State Arts Board through an appropriation by the Minnesota State Legislature.